The sport of falconry — hunting wild game with trained birds of prey — has been in existence as long as 4,000 years. 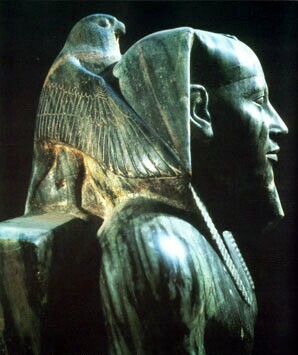 Historic artifacts from ancient Egypt, Asia and other parts of the world depict the earliest accounts of men and raptors hunting together. The archived history and heritage of American falconry can be traced back to our country's Pilgrim forefathers. 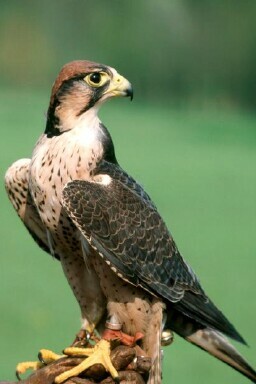 Falconry is perhaps the most natural and purest form of hunting man can experience. Observing these perfectly designed predators fly and hunt — as they do naturally every day in the wild — is truly an experience. So, it's no surprise the passion for falconry persists even today. Raptors in the wild are exposed to nature's harsh laws of survival. Sadly, studies indicate as many as 70+% of North American raptors do not live to reach one year of age. This startling figure results from natural causes such as predatation, disease, injury, infection, parasites or starvation. Additionally, many raptors in the wild are believed to succumb to man- made hazards such as powerline electrocution, road traffic, illegal shooting, habitat destruction and environmental toxicity. By contrast, raptors in the care of conscientious falconers are given a head start on survival — free from the vulnerabilities they would certainly encounter in the wild. Provided with a consistent food source, veterinary care and the opportunity to hone their hunting skills over time, falconry birds defy the dire statistics of nature. It is not unusual for falconry birds to live well in excess of 20+ years. Modern falconry is perhaps the most highly regulated sport in the United States, requiring state licensing (in compliance with federal regulations). A falconer must first pass a challenging 120 question test, scoring an 80% or higher. Additionally, the falconer must find a "sponsor" (a licensed General or Master class falconer) who is willing to provide guidance through a two-year apprenticeship period. Facilities must be built and equipment acquired according to a defined specification. The falconer must then trap and train a raptor (either an immature Redtailed hawk or American Kestrel falcon) and submit annual reports. After 2 years, the apprentice falconer may become a General class falconer and have the opportunity to fly an expanded variety of raptors. After an additional 5 years of active experience (as a General class falconer), the practioner may become a Master class falconer. Falconry is a form of hunting unlike all others. It is a full-time obligation and a "lifestyle" that demands a serious commitment. The birds are not "pets". They have special needs and must be exercised/hunted often to maintain their mental and physical health. Pursuing falconry can be amazingly rewarding but it is NOT a casual decision and should be contemplated very seriously before embarking.